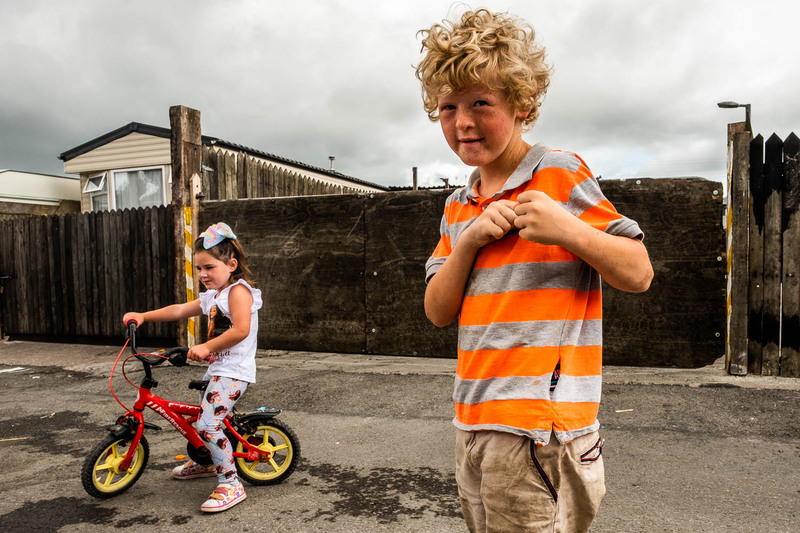 Children from the Irish Traveller's community in one of the halting sites that are now their home. Spring Lane Halting Site, Cork, Ireland. 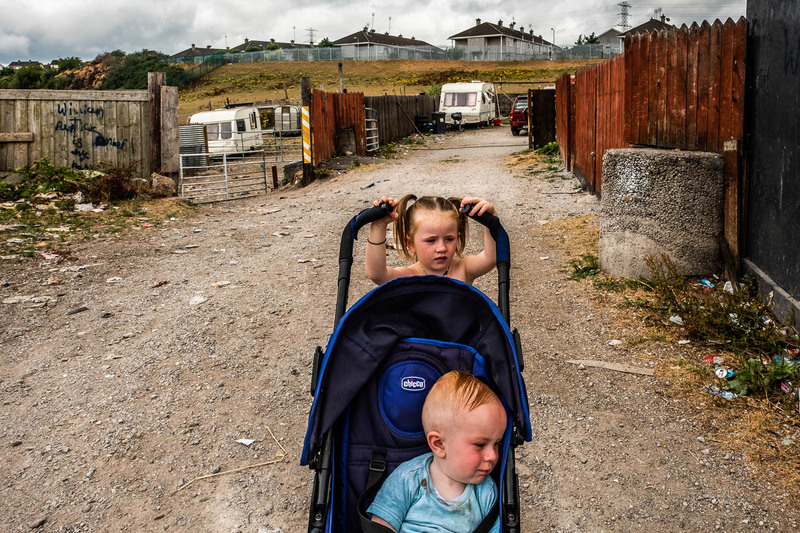 For generations, Irish Travellers had been travelling around the country, seldom remaining in one place for more than a few weeks. 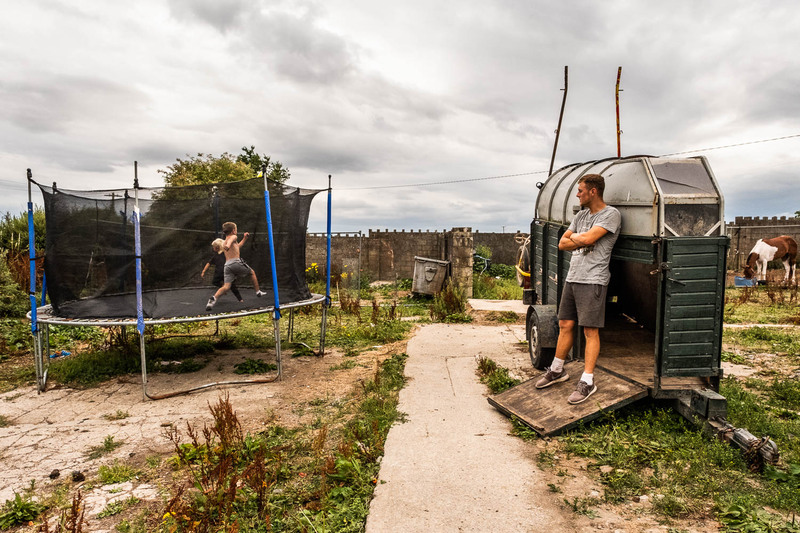 Facing pressure from the government, the Travellers are no longer “nomads”, the vast majority of them living in houses or caravans on official “halting” sites. The children of the Travellers are the first generation to experience a settled life. 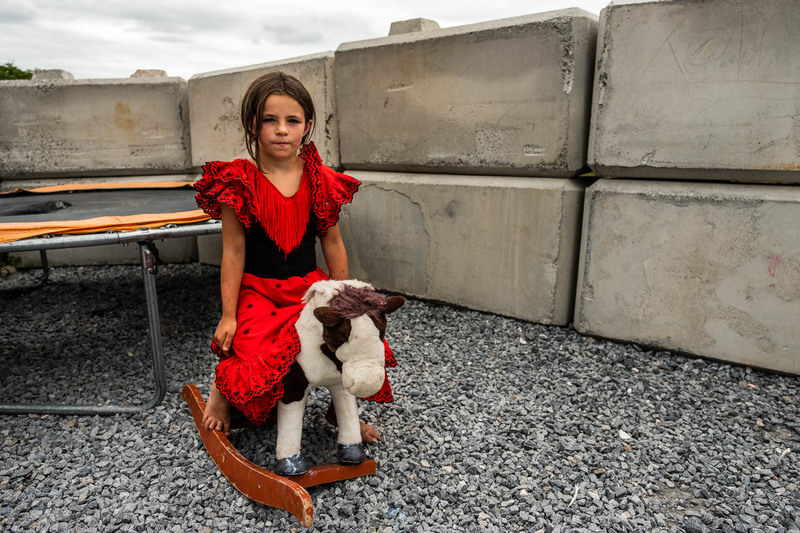 Nevertheless, this photo essay shows that the settled Travellers still identify with their culture even though they now live in an environment made of concrete slabs. Gender roles are clearly defined even for the youngest of children. When being photographed, the young boys always show their tight fists and take a fighting position. The girls, on the other hand, quickly take a provocative pose, putting their hands on their hips and pouting their lips. But perhaps the stronger link to the culture is the connection to animals. 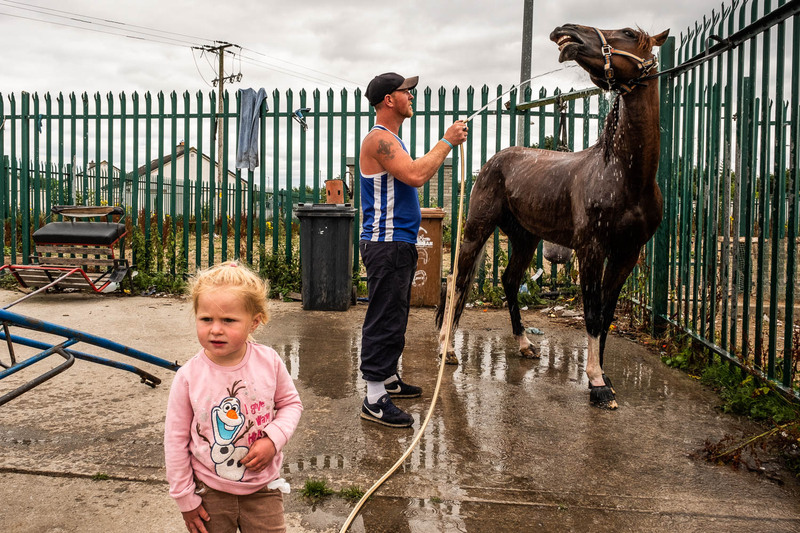 Most Irish Travellers are raising dogs, especially greyhounds, and horses are especially important for the Travellers. Though keeping a horse in a halting site can be challenging, the Travellers dearly want to maintain that part of their culture. 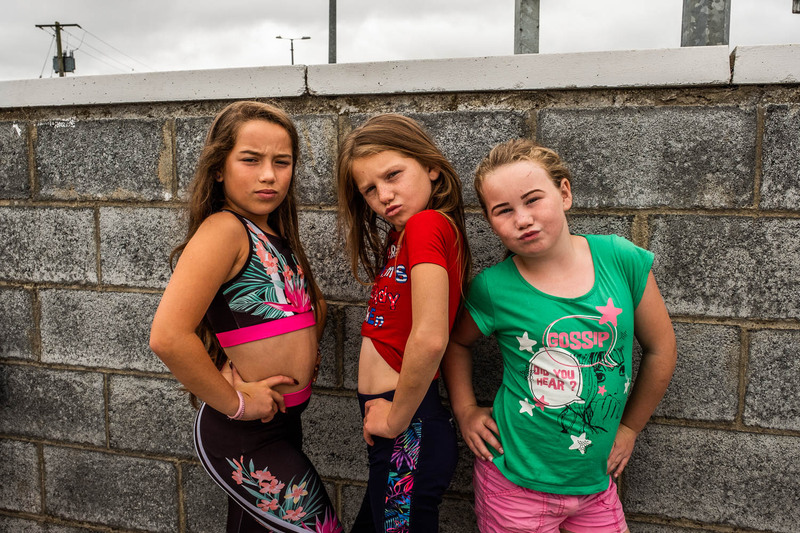 Young boys from the Irish Traveller's community like to show their fists and take a fighting position. Spring Lane Halting Site, Cork, Ireland. 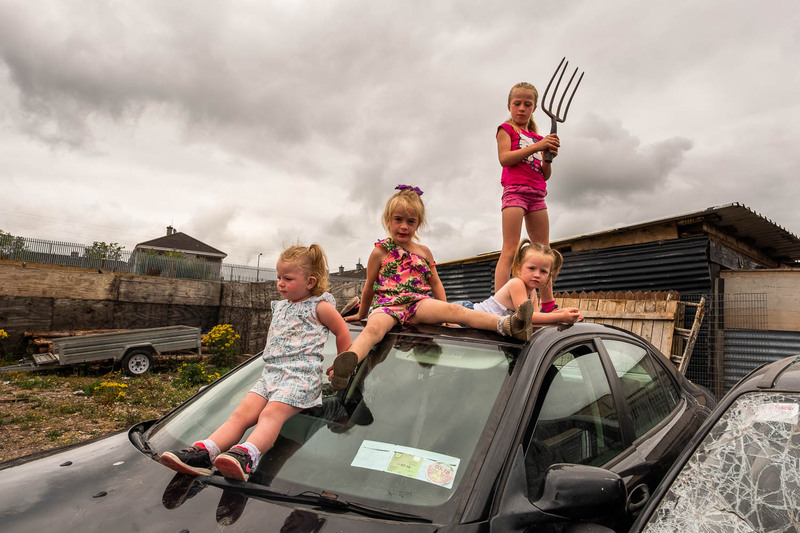 Children from the Irish Traveller's community play in a junk car in their backyards. Spring Lane Halting Site, Cork, Ireland. Very early on, girls learn to take provocative pose and pout their lips. Limerick, Ireland. 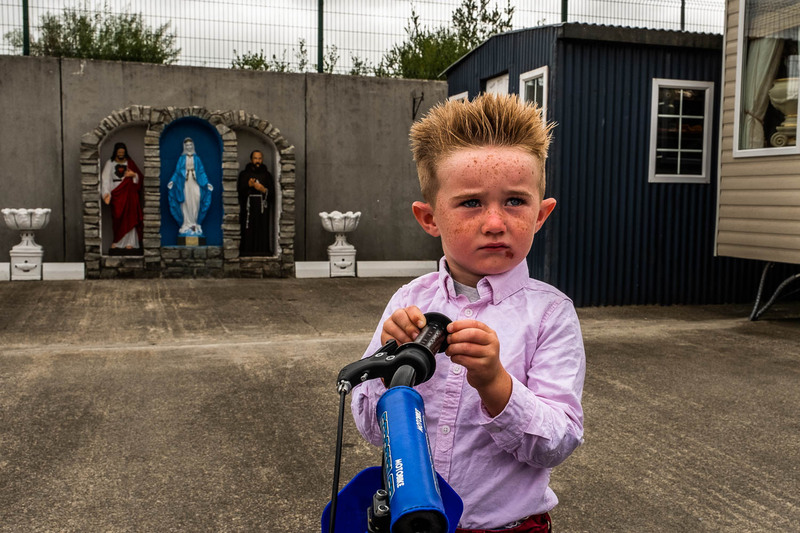 The Irish Traveller's community is very religious. Religious icons and statues can be seen in their caravans and backyards. Limerick, Ireland. 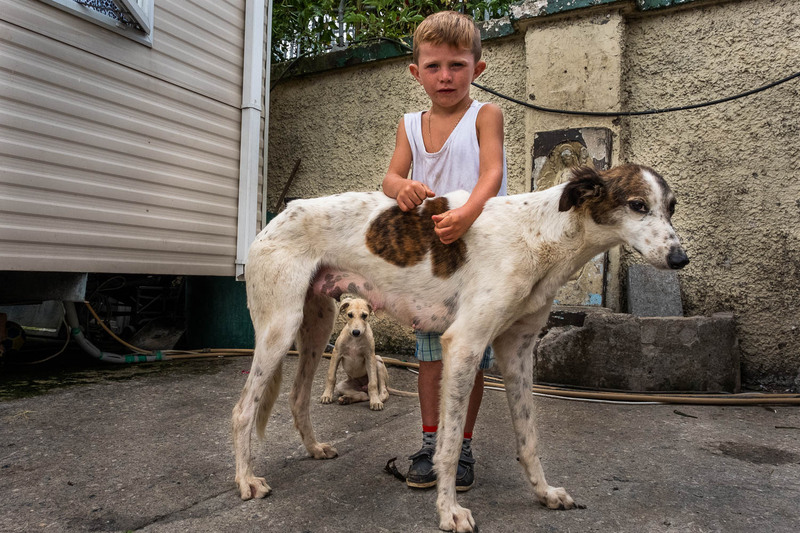 Many Irish Traveller's families raise dogs, particularly greyhounds, and the children are responsible for the puppies. Trampolines and punching bags are set up in almost every halting sites. Cashel, Ireland. 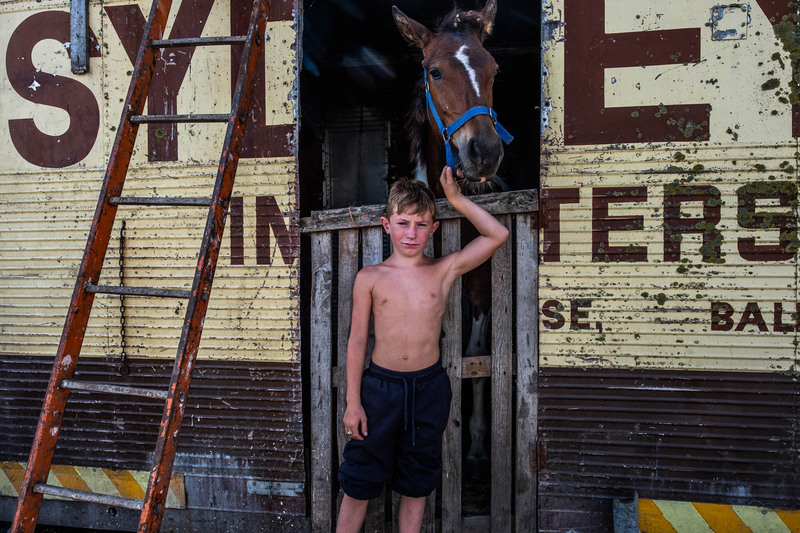 Irish Travellers have a strong bond with their horses. Young boys are given ponies as soon as they can handle them. Limerick, Ireland. There are not too many toys available in the community but rocking horses are everywhere. 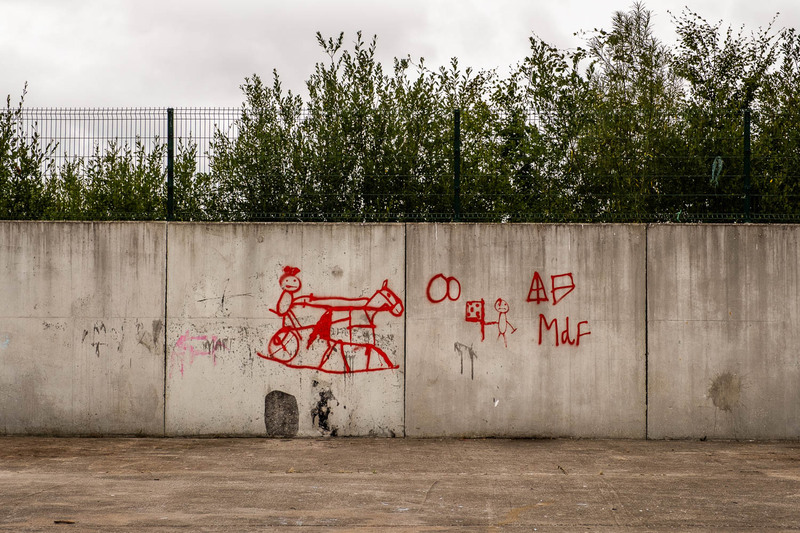 Horses are still a key part of the Irish Traveller's culture, as can be seen on this drawing on the concrete wall.Limerick, Ireland. 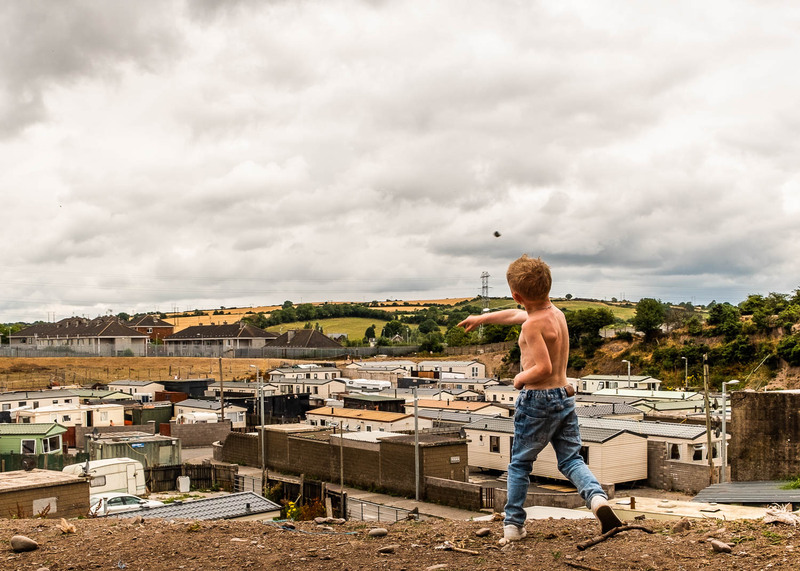 One of the many "halting sites" where families from the Irish Traveller's community now live. Spring Lane Halting Site, Cork, Ireland.